Kenton County Kentucky was formed in 1840 and is the third most populous count in Kentucky. The county was named for Simon Kenton, a frontiersman notable in the early history of the state. Kenton counties cities include Bromley, Covington, Crescent Springs, Crestview Hills, Edgewood, Elsmere, Erlanger, Ft. Mitchell, Ft. Wright, Independence, Lakeside Park, Ludlow, Park Hills, Taylor Mill, Ryland Heights, Villa Hills, Visalia and parts of Walton. Kenton County sits just south of downtown Cincinnati, Ohio and is in the Northern Kentucky metropolitan area alongside the Ohio River. 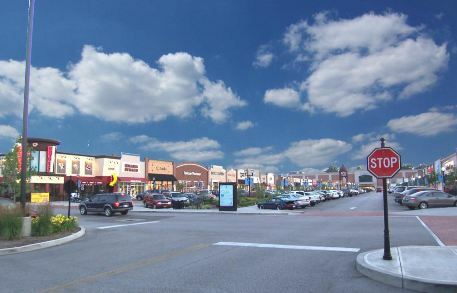 Shopping, Dining, Entertainment – Kenton County features a wide assortment of fantastic places to dine. Everything from American cuisine to a huge assortment of ethnic places. Shopping is superb with a wide variety of national chain stores to wonderful mom and pop shops. Kenton County is very convenient to Cincinnati which enables loads of entertainment to be literally at your fingertips. Parks and Recreation – Kenton County is home to three golf coarses which offer low handicappers as well as the average golfer challenging layouts. Kenton County has features 500 acres of green space where park lands sit. Parks are open daily from dawn to dusk. Living – Kenton County, Kentucky offers a close nit community that is close to metropolitan Cincinnati. This makes it easy for Kenton County residents to commute to Cincinnati and surrounding areas. The average price of a home in Kenton County is about $175,000. Schools, Health, Transportation – The public school system in Kenton County is extensive. It includes five school districts. The are Kenton County Public Schools, Covington Independent Public Schools, Beechwood Independent School District, Ludlow Independent Schools and Erlanger-Elsmere Schools. There are also numerous private schools in Kenton County. Thomas More College is also located in Kenton County. St. Elizabeth Heathcare is located in Covington and Edgewood. There is also a branch of Cincinnati Children’s Hospital that is located in Crestview Hills. The Transit Authority of Northern Kentucky or TANK, provides transit services to Boone, Kenton and Campbell Counties as well as Downtown Cincinnati. It takes people from their homes in Northern Kentucky to jobs downtown as well as service to various work sites in the southern areas of Northern Kentucky. Express buses travel the expressway providing a more direct access to the downtown Cincinnati area.